Hubert Senters is a skilled professional day trader and successful entrepreneur. His philosophy is that, “If you need to accomplish something in life, find someone who is passionate about the topic of your interest and learn everything they know about it.” That philosophy has made Hubert Senters a successful day trader today. Hubert is a firm believer that you need to have your own style & method of trading that works for you. While working in his fleet maintenance company, he met an individual that was quite successful in trading online. Hubert sat next to his new day trading mentor every day for a year. He spent countless hours learning all that his mentor knew about the stock market and how to read the market. One year later he placed his first trade and became hooked. Eventually he sold his fleet maintenance company and began trading full time, never looking back. Hubert has been trading ever since for nearly two decades. Hubert has a passion of helping other people, just as his mentor helped him. He is best known for his No BS approach which is both effective, refreshing and entertaining. 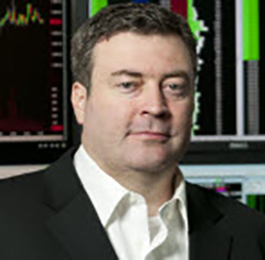 He currently owns HubertSenters.com and is the co-founder of TradeTheMarkets.com. He and his companies have been featured on Bloomberg, CNN, CNBC, Stocks and Commodities, and Traders Expo to name a few. He holds a Series 3 and 30 License and is a Principal at Razor Trading holdings. Hubert, his wife of over 20 years Lisa and their three children reside in Versailles, KY. You can usually find them at one of their children’s sporting events.